The official home base of the Consumer Electronics Show every year is the who’s-who gathering of tech titans that populate the Las Vegas Convention Center. To gadget hounds, entering those hallowed halls is a bit like breaking into the genie’s cave: It’s a curse of riches in every direction (plus a few curses). But that doesn’t mean there aren’t gems and jewels to be found at any of the other alternative locales hosted throughout Las Vegas. Before visiting the LVCC, we hit a few independent events, as well as taking in the scores of exhibitors at the Venetian and Sands Expo center, which tends to host many of the more indie and cutting-edge offerings. As in recent years there remains a number of devices spawned from Kickstarter and Indie Go-Go campaigns, but, encouragingly, most of the start-ups we spoke to were success stories: They were showing the finished devices that were finally shipping to backers or even ready for mass production. Among the most impressive were Wearhaus Arc headphones, which just went on pre-order. 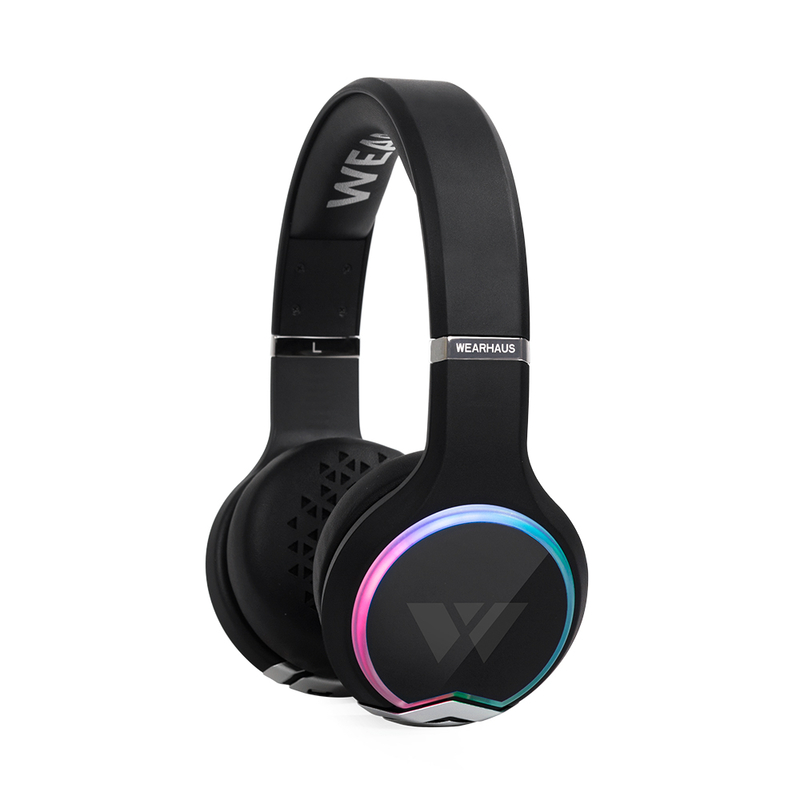 The killer app with these otherwise excellent-sounding and comfy Bluetooth wireless over-ear cans gives you the ability to link one pair with another, so that two people can listen to the same audio source simultaneously, whether it’s wired or also wireless. It works perfectly and without any latency, making, for instance, movie sharing on planes a snap. Another clever and powerful standout was the $229 Smart Remote by Seven Hugs. This might be the closest we’ve seen to The One True Remote, a holy grail category that has more than a dozen takers. 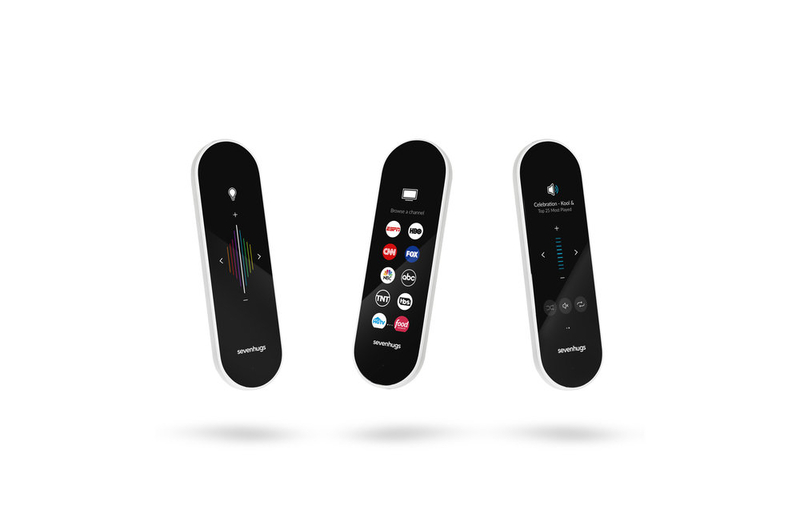 The remote itself is all touchscreen and is palm-sized and lightweight. The idea is that you set it up with virtually any remote device you own using an app, stick a few discrete sensors to your walls, and then as you point the remote at a device, its control scheme instantly appears on the remote. Point at your Sonos and music controls pop up. Point at your Nest and temperature settings pop up. And if you’re out of line of site, you can simply scroll through your various remote setups at the top of the display and then enter your controls. In our brief hands-on, it worked intuitively and wonderfully — it’s easily one of the most useful devices we’ve ever seen, especially as it works with about 25,000 brands. On a techier but equally practical level, we saw a few devices that aim to solve the issue of online privacy. As anyone who has read a headline in the past year should know, your online travels are widely tracked and knowable by everyone from your ISP to Facebook to any site you visit online. This is compounded when you hop on public WiFi networks, where you have know reliable way of knowing what data is being scooped up or by whom (in fact security experts advise against doing anything remotely personal on public WiFi, from Facebook to email, much less banking). The most compelling solution we found came from Dutch company Keezel, which sells a mouse-sized portable VPN (virtual private network) device that allows you to log on to any wireless network and surf on in complete confidence. 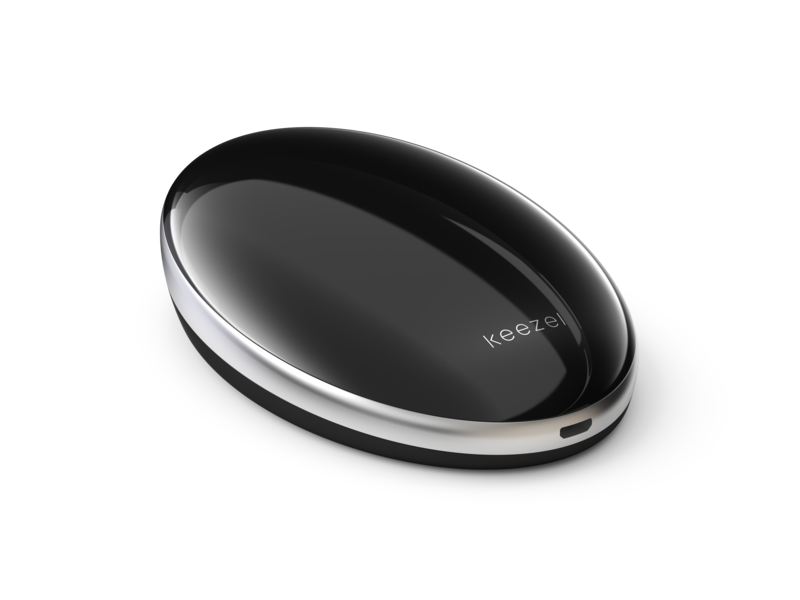 Using its app, you pair it with your device, then log on to a wireless network, and Keezel will send all your communications through a safe, encrypted tunnel to a distant server, masking all of your actions from any potential onlookers. The low-end $139 version allows for multiple devices to connect but runs at a reduced speed due to a smaller amount of available servers. Kick up to $169, and you get access to 1,250 servers and top-tier speeds for a year (service plans go up to $469 for lifetime service). For anyone who travels, and especially anyone who does business on the road, Keezel, or a service like it, should be essential. And finally a nifty piece of tech that is the sort of pure wow that keeps us coming back to CES was Akoustic Arts’ utterly unique directional speakers (the company’s site was being updated at press time). 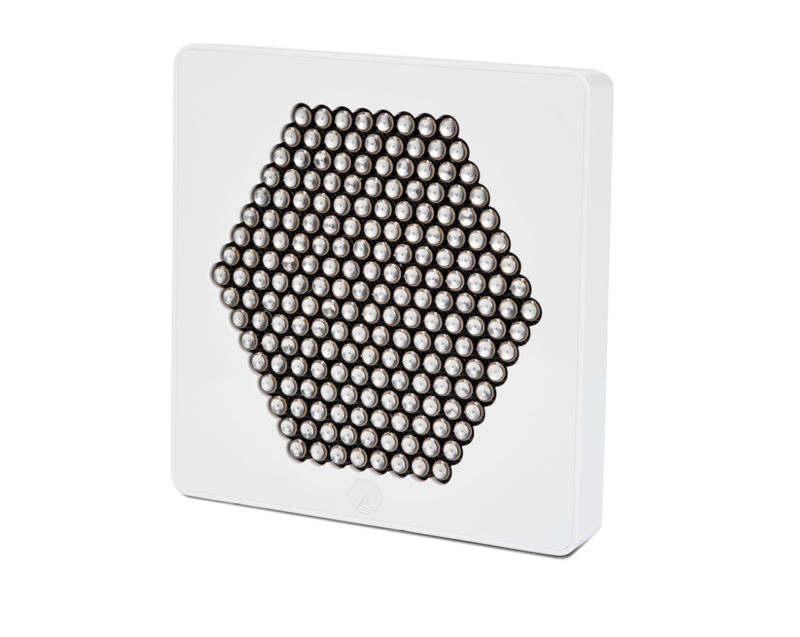 Akoustic’s audio technology, which takes the form of a sort of honeycomb of tiny speakers in the shape of a hexagon, allows for hyper-focused audio that beams, even over distance, to only a tight range of about 10 degrees. In practice that means you can beam sound directly at someone, and the person next to them doesn’t even hear a trace of it. It’s insane and magical, and, as the company suggests, could have all sorts of practical or fun applications: Imagine standing in front of a painting at a museum and hearing a guided tour without anyone else being disturbed. Or personal audio systems that don’t bug other people. Or for translation services in meetings, or as a teleprompter of sorts. Akoustic’s next planned product is dubbed the B Kit, and is a miniature version meant for use in the car as a Bluetooth-connected speaker so that Google Maps or phone calls only bug the driver and not passengers.